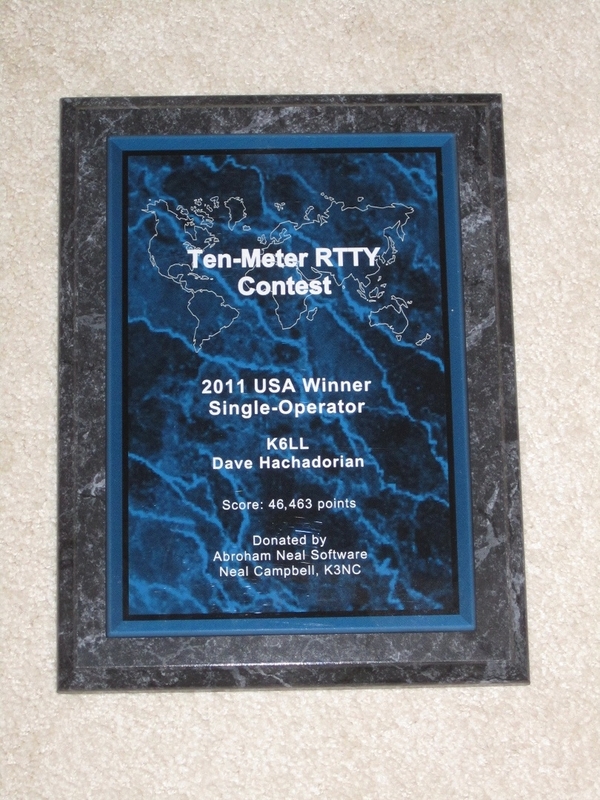 Plaque sponsorship is available for the Ten-Meter RTTY Contest. For 2016, plaque costs are $65. If you are interested in sponsoring a plaque, please contact Don Hill, AA5AU, at aa5au @ bellsouth.net or Ed Muns, W0YK, at ed @ w0yk.com. To see what the plaque looks like, click here (plaque design may change slightly from time to time). Also, if you would like to sponsor a plaque that is not listed, you may do so. If you would like to sponsor a plaque for an area not listed, you may do so (such as Single Operator Canada, or Single Operator Russia, etc).